We have great sports betting tools and tips for up. When betting on sports, it is important to have the right tools and tips. 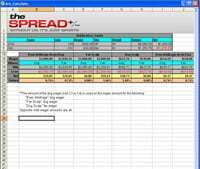 Our sports betting tools and tips include spreadsheets to assist you with your sports betting. The Bet Tracker and the Arbitrage Calculator are available in Microsoft Excel spreadsheets. To download them for your use, click the download links below.